For any topic you can imagine, Google has an algorithm which includes a comprehensive breakdown of that niche and what other topics are relevant to it. If the pages of your site happen to be related and relevant to each other according to this algorithm, then you rank well. While many of us accept that a decent website should contain articles that are mostly related to each other, it’s important to discuss exactly why this is the case. Majestic SEO has something called Trust Flow. This statistic is niche-specific. Consider trust flow to be something like Google’s internal page-rank, yet categorized so that the power from links is only realized if the linked-to article is relevant. One particular website, for instance, might be focused on dog training. They might have received so many relevant links from dog kennels and dog training events, that their links have what’s considered to be 35 Trust Flow, as it pertains to dog training. If you receive a link from that site, and your site specializes in dog training techniques, you’ll likely rank extremely well. On the other hand, if your site sells solar panels – the link won’t matter nearly as much. That’s because, while that site has achieved links that are valued at 35 Trust Flow for dog training related sites, that link juice will be greatly dampened when it comes to unrelated articles, perhaps a link receiving only 5 to 10 worth of Trust Flow, or less, because the link came from an article of a different topic. Why are we talking about external links, in an article about site structure for SEO? In many ways, internal links function much the same as external links. As link juice flows around your site, it’s important that your most relevant pages are inter-connecting with each other. Just like topic-specific Trust Flow is passed to your site when relevant articles link to you, in the same way internal pages that link to each other pass trust to other various pages – and that trust is more targeted when the pages are similar topics. The takeaway from this is that it pays to build a website that is focused on a particular niche. It is less helpful to have a site that tries to rank for terms that are not of the same niche. If you are building a smaller-sized site, less than 50 pages, it is important that the niche topics are extremely similar. 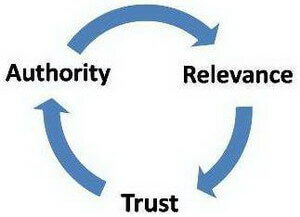 Let’s talk a little more about this topic-specific trust flow, the metric you find from Majestic SEO. Of course, Google does not grab data from Majestic for their search algorithm. Google has a much more complex and powerful system for determining whether links are relevant. Obviously, being a multi-billion dollar company that owes its value to its search engine, it has likely built a very elaborate system of determining the relevancy of an article’s links and whether its links are applicable to the same topic. Do not rely on your menu system to construct these internal links. All links are preferred to be made within the page’s content. Often, links in the menu system, also called boilerplate links, are either ignored or downgraded in effectiveness. The best place to make an internal link is within a paragraph that is discussing the topic of the page being linked to. This brings up a very common flaw in many websites. Many sites are constructed as blogs, where each article is added, where it might have internal links – but older pages which are relevant to the new article do not automatically link back to the new article. Whenever you create a new article, you should backtrack to the most relevant two or three pages on your site, and drop links back to the new article. This gives each article relevant in-content links and helps them rank better. 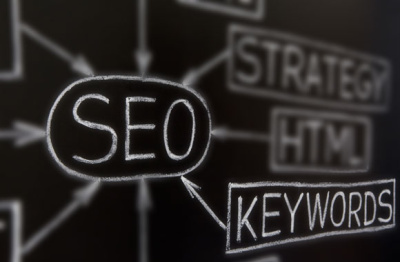 A great way to find those pages is to go to Google, type site:yoursite.com (keywords). This will tell you the top pages on your site that Google believes to be most related to the keywords your new article focuses on, sorted in order of relevancy. 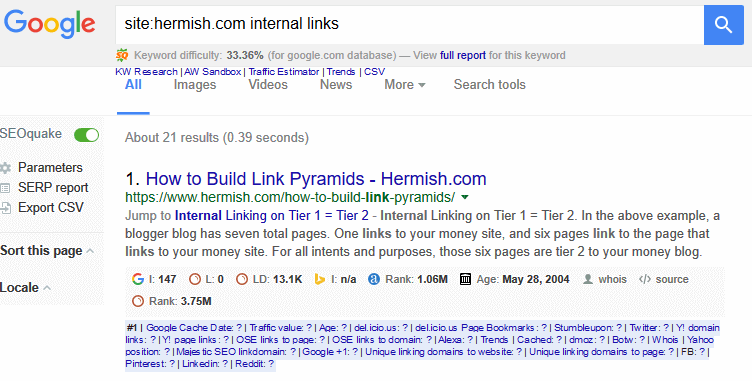 This makes it extremely easy to find pages from which to gain internal links. This type of internal linking is crucial to rankings. You should get in the habit of continually reviewing your site to make sure each article links to the most relevant pages. This type of activity will go a long way towards increasing your traffic from Google. Another tactic you could use is to install a plugin such as YARPP (Yet Another Related Posts Plugin). YARPP will use various algorithms to automatically link to other pages on your blog which are related. This can help save time, as well as make finding excellent internal pages to link to an easy task. This is no substitute from putting links within the articles themselves, but by adding 3 to 6 YARPP linked articles at the bottom of each page also works to improve your internal linking. Though the YARPP links are found in the template, because they change for each article, they are different enough to not be considered as part of your boilerplate. 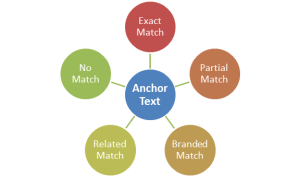 Google is more lenient with internal linking, when it comes to what types of anchor text you use in your internal links. While getting links from external sources, it is a good idea to get branded links, more generic “click here” types of links, and linking with the exact keywords you wish to rank with less commonly. However, when linking internally, you can greatly increase using the exact-match keywords you link with. To give an example of what types of links I’d use – when building links to your pages from external sources, I’d only recommend using the exact keyword you want to rank for 1/20th of the time. However, when building internal links, you can get away with much higher densities of keywords. If you have, for instance, four articles linking to your page, one or two of them could use exact match keywords which you want to rank for. The reason we avoid exact anchors when getting external links is that Google often assigns a penalty to that, as though you generated those links by yourself. However, Google is fully aware that, on your own website, you are the one creating the links – and are more likely to use the exact match keywords to do this. Don’t go overboard, however. You can still over-optimize your pages by linking internally with the keywords you want to rank for too often. This article suggested that you try to stick with the same niche topics on a smaller website. What if you want to create a larger site, one that will tackle a larger amount of topics? A good idea, in that circumstance, is to use something called seo siloing. I teach you the benefits, and how to silo in the next article.